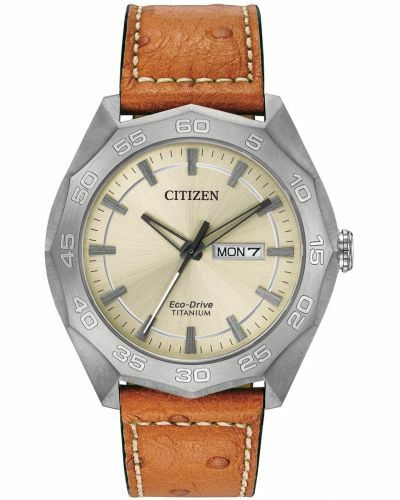 Men's Citizen Super Titanium rugged designed sports watch with a round 44mm case and edged bezel. Has a grey sunray dial with dark grey hands, vibrant green seconds hand and a day-date display window. Features a matt grey super titanium bracelet with a push button fold over clasp. 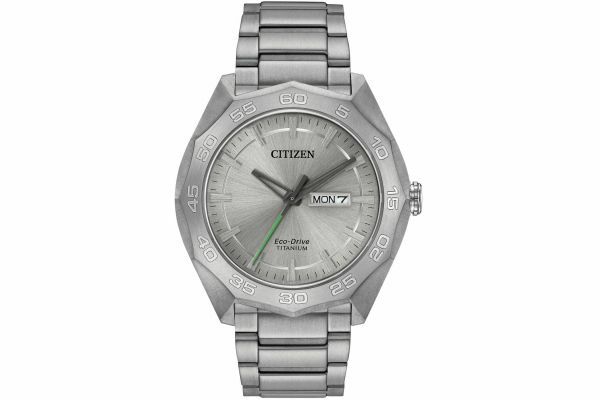 Powered by the famous Eco-Drive movement and comes with the Citizen 5 year guarantee. This timepiece is 40% lighter, and 5 times more resistant to scratches than stainless steel.